We promised a round two, and we're delivering! Felicia went to San Francisco to support their new City Organizer, Lorin Bond, and met up with Aubrey Blanche, this time in person, at Atlassian's offices! 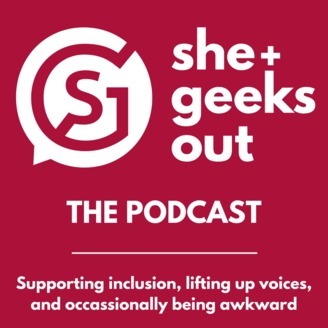 Aubrey's changed her title from inclusion to belonging and they get into all the reasons why in this super fun and informative interview. ALSO this is our last podcast for a while. We're taking a hiatus! If you're devastated, tell us, and it will motivate us to get this puppy back on, but for now, we've decided to take former podcast guest Janet Comenos' advice and focus! Happy summer! 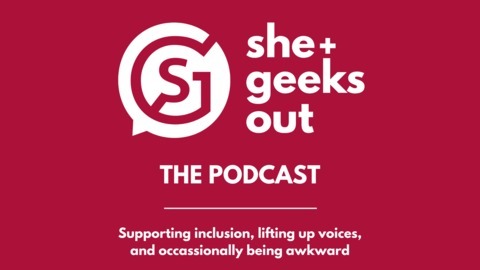 For a complete calendar of events, visit www.shegeeksout.com!